The Tricity youth has come together to spread awareness on ‘healthy youth healthy India’ along with raising endearment for the differently abled persons. This awareness will be raised by the youth and students across the Tricity in an event organised by Chandigarh University, Gharuan, in association with the Safe Hand Rehabilitation Society. 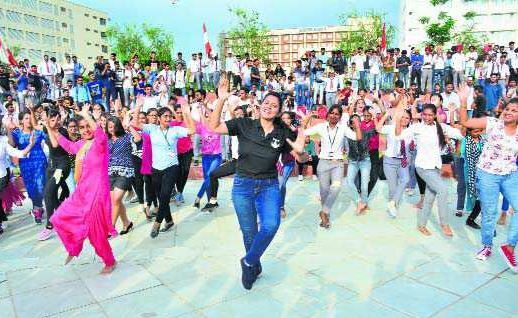 With this, the Tricity will put forward an attempt to strike for a Guinness Book World Record by making for about more than 11,111 students from various universities and schools to participants in a Bhangra Flash Mob which will be held on August 24, 2018, at Kalagram, Chandigarh. The attempt to make this world record is backed up by encouraging more and more students to participate up. Chak de Phatte Chandigarh! Let the bhangra roll-in the house!